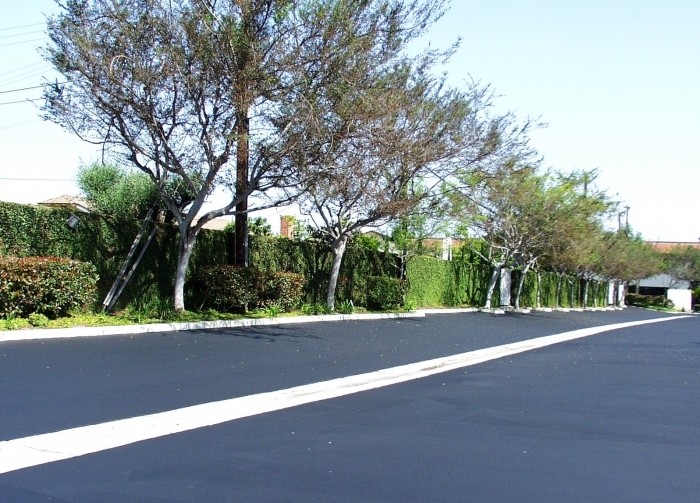 Seal coating by its most basic definition is a group of liquid emulsions applied to asphalt in order to protect and extend its lifespan, in other words it is a form of surface preservation. 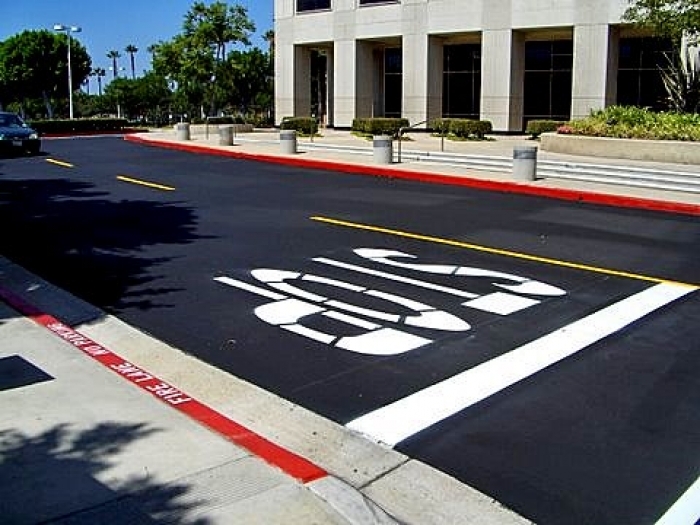 Seal coating creates a protective surface for parking lots and driveways, retarding the deteriorating effects of weathering, of chemicals used for cleaning, auto fluids such as oil or grease as well as gasoline. 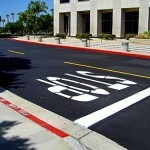 Seal coating helps in the slowing of asphalt raveling and the formation of ruts and potholes. 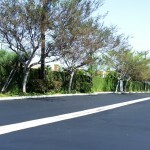 The effect of sunlight on asphalt is that it dries out the light oils causing it to become brittle; the effect of oxygen in the air is to oxidize the bitumen. Together, their action produces a chemical change which causes brittleness of the pavement, permitting release of the surface aggregate, no longer held together by its binder. At this stage of degradation asphaltic concrete becomes water-soluble. Water from rain or broken irrigation sprinklers can easily penetrate the surface and cause further deterioration. 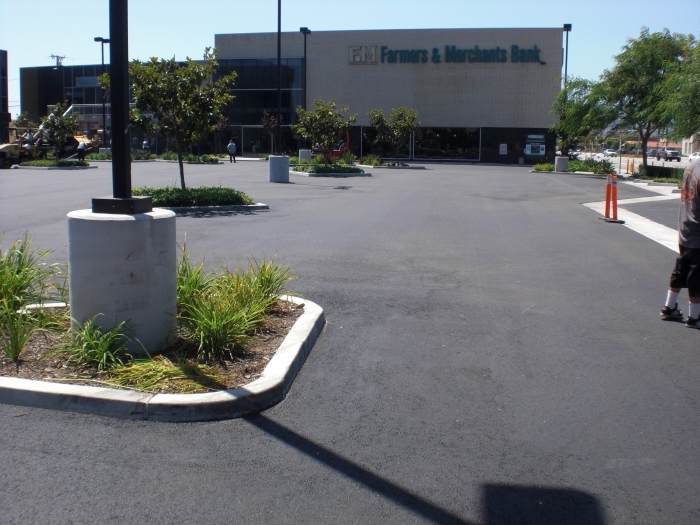 Another positive benefit of seal coating is that it makes your parking lot look nicer. 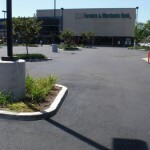 With a dark coat of seal and new parking lot striping your parking lot and business become more attractive. If you have any questions about selecting services, please give us a call.